Otis Redding, Live On The Sunset Strip. Live albums are like your girlfriend’s hot sister; tempting, but rarely worth the risk. The past few years have been EXTREMELY kind to Otis Redding fans in terms of reissues and unreleased live material, but this might be the coup-de-grace. Some of the material from this now legendary 1966 performance at the Whiskey-A-Go-Go has been released before, but never all at once like this, and never with this quality. Quite simply, Otis Redding was the greatest rock or soul singer of his generation, and quite possibly the greatest entertainer, and I’ll play Crazy 8’s to the death with any man or woman that thinks differently. This record is a document of a master at the height of his powers. There aren’t many live albums that I would consider to be essential to the discography of the artist that produced them, but this record is the rare exception, and a STRONG case could be made that the live selections here outshine the original source material. Bob Holloway leads a 10 piece ensemble of some of Stax’s finest, and their virtuosity shines throughout the record. These guys could burn a hole straight through to China. 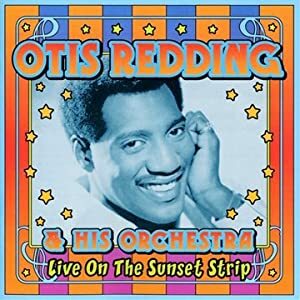 But Otis never lets his band outshine the songs, and this album is a perfect example of how instrumental prowess and great songwriting can fit together. I’ll ask you to pay extra attention to the version of Security that opens the first disc. If the sheer power of this band doesn’t overwhelm you, and if it doesn’t quite literally bring you to your feet, I have some very bad news for you, because you’re dead.